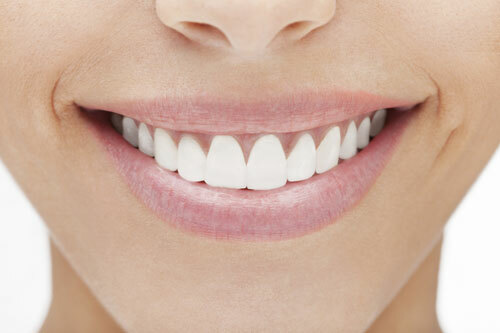 Dental veneers can greatly improve the appearance of teeth. Unlike teeth, mostly consisting of calcified tissue called dentin, porcelain veneers do not stain or even turn yellow easily. However, the teeth lying under these ultra-thin shells can darken and stain, causing the appearance to look worse in a fashion accordingly. It is also important to note the cement used to apply the veneers can be prone to yellowing if it is not the proper type. Most dentists know the correct cement to use, and this rarely poses a problem. Another area more prone to staining are the edges of the veneers, and most times this will not be noticeable. However, when teeth with veneers appear darkened or yellowed, can they be bleached? The answer is yes, they can. Light surface stains can be easily polished out. As for underlying teeth, tray bleaching will prove effective. Bleaching gel can be applied to the back of the teeth, so it can bleach through to the part that was veneered. Bleaching the porcelain will rarely lighten the color much. Rinsing your mouth after every meal can also help, removing food and dark liquids from contact with teeth. Another option is replacing old veneers with newer, stronger ones. And while whitening toothpastes seem as though they help, they can actually break down the stain-resisting glaze on veneers. Avoiding stains in the first place is ideal. Rinse your mouth often, and try to avoid coffee, tea, red wine, smoking, and other such things. Participate in proper dental hygiene always to keep your teeth clean and healthy. While these may help, simple aging will also darken teeth, but there are ways to whiten them and reverse this process. Porcelain veneers are a great for many people, and they do not stain easily, but additional whitening is definitely not impossible and will not damage the veneers or keep you from a glowing, healthy smile. Please contact us if you have any questions about dental veneers.